As digital technologies become more widespread and integrated into Australian school education there is a challenge to better understand the policies that are designed to guide their use. There is little education research however, which explores how school students understand and respond to policy regulations; their voices are largely absent from the landscape in this field. Drawing on an interpretative and critical inquiry, this chapter examines the intersections between policy trajectories and ethical concerns related to teaching and learning with digital technologies, from the perspective of Australian school students. The students in this study demonstrated an understanding of the importance of policy interpretation and language particularly in their discussion of ethical considerations, and indicated they want more consultative and participatory approaches to digital technologies policy developments. This study also shows that students would like to see policies gradually move from a less restrictive and generic approach based on blocking and filtering, to ones that provide them with opportunities to maximise their educational opportunities and become ethically responsible users of digital technologies. One of the roles of educational policy is to regulate student conduct by mandating standards of behaviour and rules (Ball, 1990; Ozaga, 2000). This chapter examines the ways in which digital technologies and the policies designed to regulate their use, are understood and perceived by students in two secondary schools in Australia, one Government (public) school and the other a Catholic (private) school. 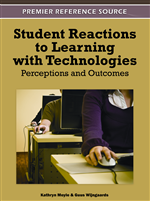 The study informing this chapter was concerned about ethics in relation to notions of ‘right’ and ‘wrong’ uses of digital technologies in school contexts, as seen through the eyes of Australian school students. The analysis of the students’ voices in this study, builds on previous research to establish a space that positions and expands knowledge of how students understand and respond to digital technologies policy regulations in their school environments. The findings in this study are based on data collected from semi-structured interviews conducted with students during 2008 and 2009, involving 16 male and female students, aged between 16 and 18 years of age. The interviews explored these students' understandings of the ethical issues and debates which concern the use of digital technologies in their schools. The interview questions focussed on the students’ interpretations of policies designed to prescribe desired behaviour and attitudes in regard to ethical issues of concern to educators. The interviews were also concerned with students’ views in relation to the blocking and filtering of the Internet, the potential of enhancing consultation in policy development and the role that education can play in engendering the ethical use of digital technologies in schools. Analysis of the students’ interviews was conducted through interpretative and critical lenses, and explored a range of discursive and practical issues from the students' perspectives. To interpret the various discourses collected through the semi-structured interviews, critical and interpretative theories were used. A discourse or discursive practice embodies meaning, social relationships and power relations (Ball, 1990, 1993). Language forms a vehicle for discursive communication and according to Michel Foucault, discourse is formed by institutional practices and the nexus between power structures and knowledge (Foucault, 1974). There are various forms of critical theory, the most influential is commonly associated with the “Frankfurt School” in the 20th century (Deetz, 2005). Critical theory questions the nature of the social order and the use of language particularly as they function to form repressive ideologies (Deetz, 2005). According to critical theory the selection, classification and transmission of knowledge is never neutral, but critical in terms of social control and the distribution of power (Habermas, 1987; Tesse & Polesei, 2003). Employing a critical analysis allowed for an exploration of the empowerment and disempowerment of students in regard to their experiences, knowledge and understandings of the ethical dimensions of the use of digital technologies in school communities (Gibson & Brown, 2009). Interpretative theory is concerned with understanding the formation of systems of meaning and interpretation of social realities that are largely shaped by language and the discourses which emerge from their use (Klein, 2001). The recognition of values and the process of meaning construction are central to interpretative analysis (Habermas, 1987). An interpretative approach was used in this study to clarify, explain, interpret and enable further understanding of students’ perspectives and their experiences with digital technologies in school settings. Reactions to blocking and filtering of the Internet.